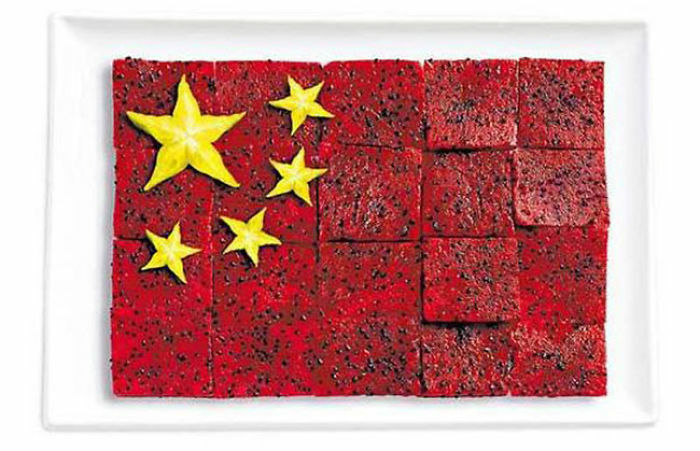 As part of a promotion for the Sydney International Food Festival, the advertising agency WHYBINTBWA designed 18 national flags using foods each country is commonly associated with and that would also match the colors of the flag. 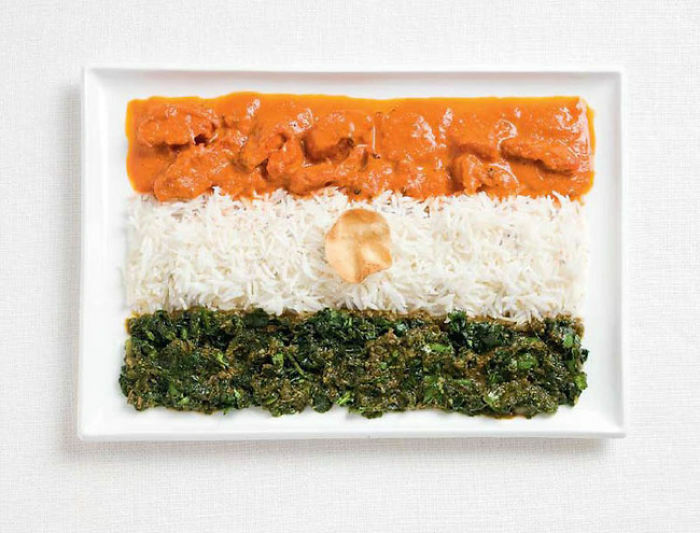 The dishes are arranged to replicate each nation’s flag down to the smallest details. It’s almost too beautiful to eat! 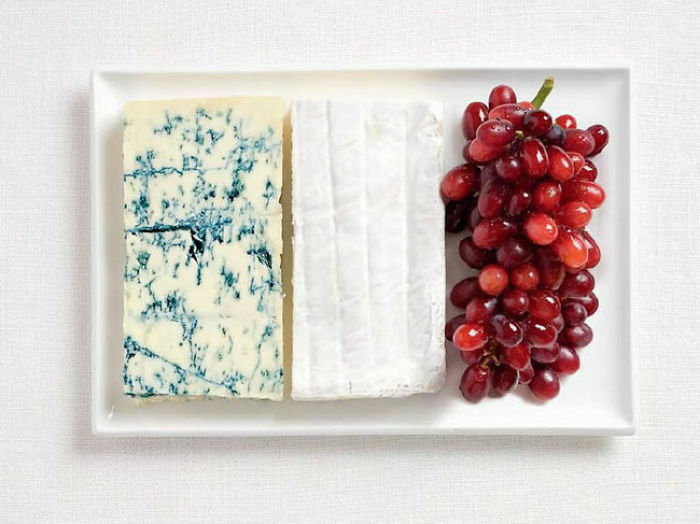 Blue cheese, brie, and grapes. 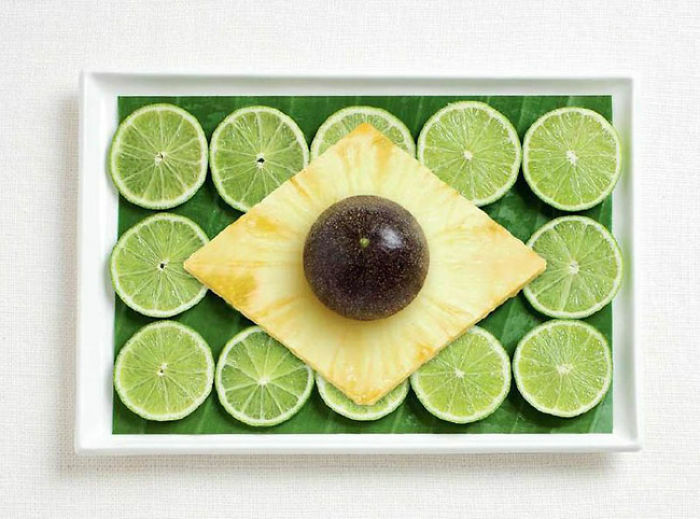 Banana leaf, limes, pineapple and passion fruit. Curry chicken, rice, cheera thoran and papadum wafer. Scone with cream and jams. Hot dogs, ketchup and mustard. Tomatoes, pita bread and parsley. 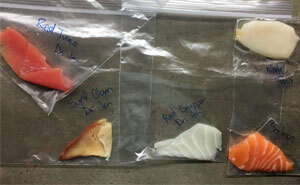 Blue swimmer crab, sweet chili sauce, and shredded coconut. Basil, pasta, and vine ripened tomatoes.